VOLUNTARY BENEFITS - No Longer an Option - eEmployers Solutions, Inc. If your benefits plan is limited to the minimum mandatory inclusions or offers just a few extra options, you may be missing out on a golden opportunity to recruit and retain employees. 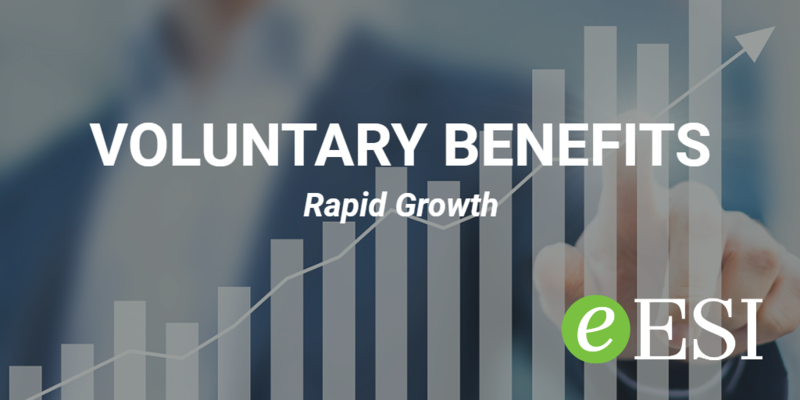 In this eESI podcast and the ensuing article, find out the trends and why offering voluntary benefits is the key to attracting and retaining the best employees for your business. A tight labor market is forcing employers to step up their recruitment and retention efforts. The October 2018 employment figures from the Bureau of Labor Statistics indicated that U.S. payroll rose by 250,000 in October, and the unemployment rate was unchanged at 3.7 percent. Additionally, the labor force participation rate settled at 62.9%. What do these labor statistics mean for employers? These latest labor figures mean that most of those who can and want to enter the labor pool are already there. Employers who need to add workers are facing tough competition against one another to find and keep the right person for the job. To fill necessary positions, employers must not only find individuals who are right for the job but are also in the right location. Alternatively, employers must convince non-participants– workers who aren’t currently part of the available labor force–to consider changing their status. How can employers appeal to the workers the economy inches closer to full employment? Most experts agree that the key to recruiting and retaining top talent in a tight labor market is to offer candidates perks and benefits that go beyond the standard, mandated benefits. “Attractive benefits can make the difference between whether a prospective employee accepts a job offer or not,” Benefitfocus CEO Ray August told SHRM’s Stephen Miller in a recent interview. In Voluntary Benefits Now Essential, Not Fringe, Miller reports that a survey of over 300 large U.S. employers found that 69% of those employers believe voluntary benefits are an important component of their total rewards strategy, and that adding a variety of benefits allows employers to meet the needs of different employees at different life stages. Also reporting on the trend, HRDive’s Riia O’Donnell reports that while insurance coverage continues to be a major voluntary benefits offering, other items are gaining traction. In As Voluntary Benefits Become ‘Must Haves,’ Employers Focus on Education, O’Donnell reports that professional development and other education benefits are a favorite among employees, particularly younger workers. Other popular offerings include pet insurance, financial wellness programs, and identity theft protection. If your business hasn’t offered voluntary benefits in the past, or wants to expand your existing offerings, eESI has a resource that can help. 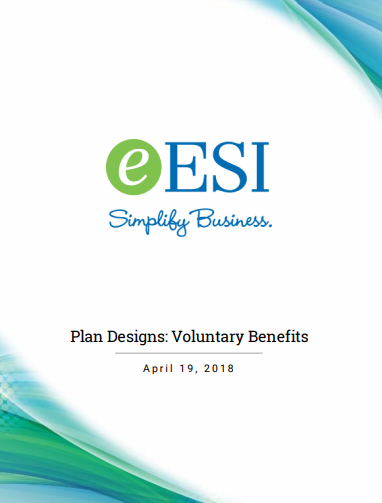 Download our free guide, Plan Designs: Voluntary Benefits to discover the many options available to employers and employees when it comes to voluntary benefits. This guide will explain the different types of benefits available and provide you with actionable steps that you can take to begin creating a program that is perfect for your business needs. And, of course, the eESI team is available to answer any questions you may have. Call us today and we’ll help you win the talent competition.